Qualcomm may miss out on an opportunity to supply 5G modems for the 2020 iPhones, Barclays suggests, warning the window to make the necessary arrangements to provide the components is narrowing, with matters not helped by the chip producer's ongoing legal activity with Apple. Qualcomm has not been a supplier to Apple for the iPhone since it commenced its legal action against the company, with Intel the current provider of the component. The former's work on 5G technology may help provide an opening into the Apple supply chain once again, analysts for Barclays propose, but it's certainly not a done deal. In a note to investors seen by AppleInsider, Barclays says that Qualcomm has a chance to supply 5G modems to Apple. However, time for it to strike a deal with Apple "seems to be running out," as Apple has to start organizing its production schedule for next year's iPhones soon. Barclays suggests the main stumbling block is the lawsuits between Qualcomm and Apple, and that by resolving their differences one way or another, a resolution would work in Qualcomm's favor to make such a deal. Qualcomm and Apple are duking it out in the courts over a number of matters, but the major elements revolve around patent infringements, with Qualcomm alleging Apple violated its intellectual property. It has resulted in a sales ban in Germany, which Apple has notably worked around by selling the iPhone 7 and iPhone 8 in the country using only Qualcomm modems. 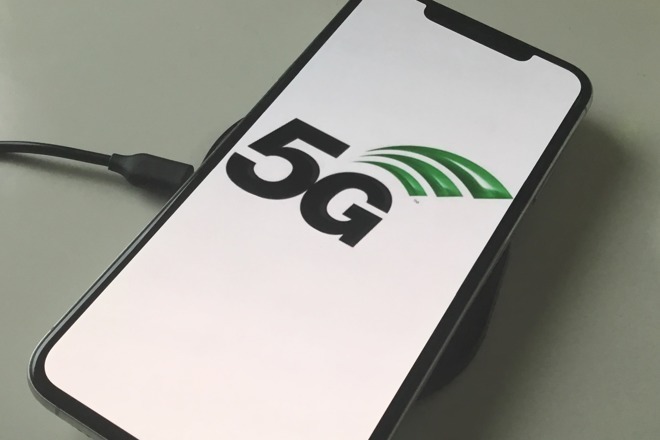 The prospect of a 5G-compatible iPhone in 2019 was dashed by an announcement made by Intel on February 22, where it advised it did not expect smartphones and mobile devices using its 5G modems to go on the market until 2020. As Apple launches its iPhones in the fall, and with considerably long production schedules at play, this rules out 5G in the iPhone until at least next year. Apple has already looked into the possibility of alternate sources for 5G modems, away from Intel and Qualcomm. Testimony from Apple supply chain executive Tony Blevins in an FTC trial against Qualcomm confirmed the company had considered using Samsung and MediaTek for its modem supplies, but did not advise on whether either of them would do so in the future. It is also speculated that Apple could come up with its own 5G modem design in-house, in a similar fashion as other components, such as the A-series processors. In early February, it was reported Apple was restructuring its internal hardware teams, relocating the modem team to directly under the head of hardware, a shift suggesting a greater emphasis on work for the component will be made, potentially resulting in a 5G modem. Qualcomm will certainly miss out on modem sales... Apple will make its own modem. 2. Autonomous cars from Apple and Intel/Mobile Eye. It’s important for Apple to make and enhance its own modems with FRAND licensed technologies. Qualcomm is using 5G as a stick to beat anyone with. Does anyone really believe that 5G will be widely available by the end of 2020? I don’t. look how long 4G and LTE took. Plus most of the carriers are complaining the 5G hardware they need won’t play nice with existing hardware. Reminds me of when broadcasters had to switch to HD. It wasn’t pretty. Unless Apple had started work on the its modem two to three years before the current rumour ( Which is about moving the team not under Supply but under its SemiCon division ), the chances of an Apple's 5G Modem in 2020, 2021 is next to Zero. Even 2022 is highly unlikely. 5G will roll out faster than 4G as 5G NSA uses upgraded LTE infrastructure and, if Huawei is used, will be cheaper, lighter and faster to install. 5G SA will be a different story but will again be relatively fast - politics permitting. Trust me. We will never see another Qualcomm modem in another iPhone ever. Settling the lawsuits wouldn't solve the much larger issue which is Qualcomm's pricing model. Apple would have to be tied and quartered to give in on that issue. The other larger issue than the lawsuits is the bad blood between the two companies. Apple really doesn't want to do business with them. I don't think it is critically important for iPhones to have 5G in 2020. Getting the 5G infrastructure built out and bugs ironed out will take a while. Apple's customers are not going to switch to Android in order to get a 5G phone one year earlier. The question is does QC need Apple more than Apple needs QC? Currently, there are precious few options for mobile 5G modems. If Intel, Apple or someone else comes out with a good competitor, then QC will likely be SOL. However if other companies' products are slow to market or are significantly inferior, then QC will be in a position to make demands. For everyone's sake, I hope some good competitors come to market soon. Having strong competition is the best way to curb QC's abusive practices. Ain't going to happen. It's Intel 5G modem and than Apple's own 5G modem. Or Intel 5G modem barebones and repackaged as Apple's own 5G modem just like the Mseries. Until Apple's own 5G modem on the chip is ready. Bringing respective functionalities on single SOC is the way to go to keep improving performance and lower power. Apple will do the same. In 2019 Intel applying 3D stacking chip tech to it's upcoming Sunny Cove architecture chips to bring various peripheral chips functionalities on one chip die. I wish they'd stop calling them goddamned "modems." Nobody's trying to look at Instagram over a goddamned analog phone line with screeching connect buzzes. But antenna chips?… whatever the hell they actually are, I'm equally puzzled by whatever about them is so complicated that Apple and Samsung and everyone else hasn't been pumping out proprietary models for the past decade… that's a microchip deep dive I'd like to read. It’s just marketing. But marketing is what helps sales. Yes why aren’t they software based generic processors. Still I think they’d still be modems in that they modulate and demodulates radio frequency. I have no idea how quickly things will roll out but you are right. Marketing helps sales and it would be foolish for handset manufacturers with 5G phones not to push them with everything they have. It will have an impact on Apple if it spends most of 2020 without a 5G option. Just how much, is anybody's guess. 5G at this point is a canard! 4G is fine for the vast majority of current data. I haven't seen a compelling need for anything faster then 4G at this point. Yes we should be moving towards a 5G future but for now, the hype is overblown and just a marketing ploy! Apple has probably been working on an internal in-house modem (?) ever since they realized the intel modems were second rate. they have known that working with QC is a dead end for longer then that. I suspect we will see an Apple modem in 2020 or 2021 at the latest. Apple is having a lot of success with its in-house chip design. I am not sure it wants a settlement with Qualcomm. Modems or not Apple will still have to reach a business agreement with Qualcomm for licensing the required IP.